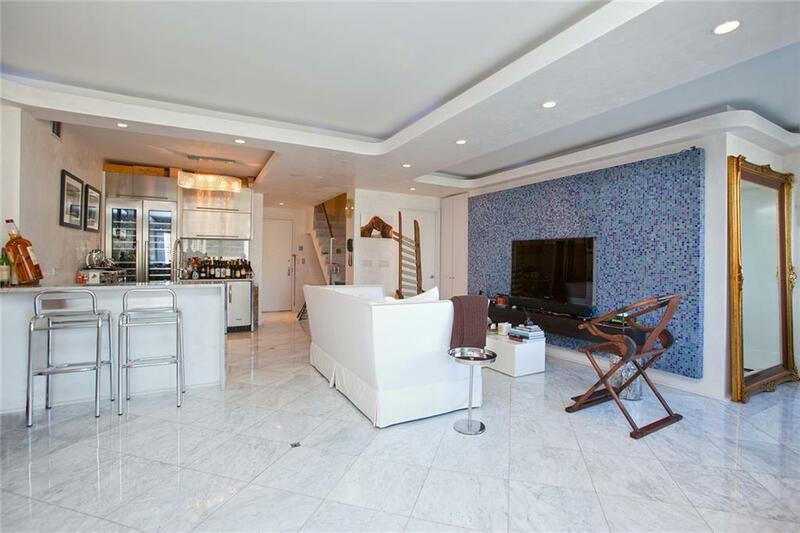 Step into this gorgeous Duplex Penthouse 3 bedroom/4 bathroom offering a large living space and customized finishes. 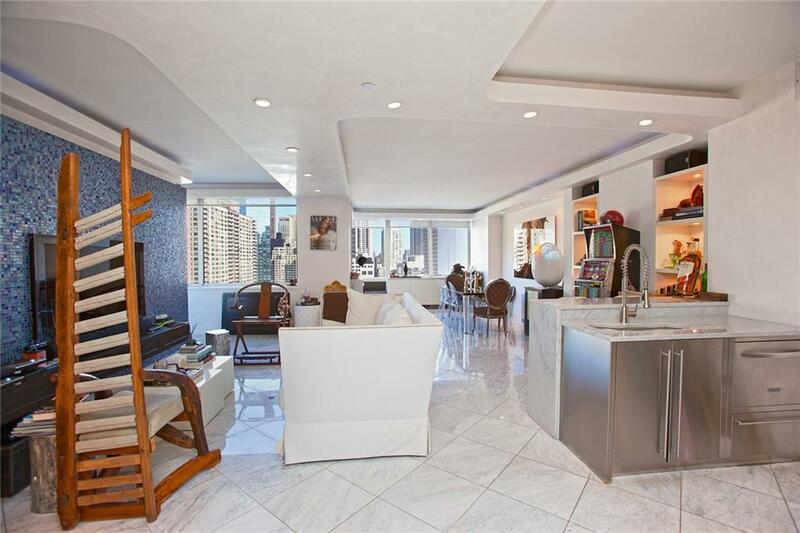 Top floor features 11' ceilings, custom built-in entertainment system, Venetian walls, custom marble ac covers with a built-in mini bar, floor to ceiling windows, Washer/Dryer and amazing open views. There is a massive living area for entertainment downstairs, which features a lovely open wine bar, marble floors, and a custom built-in RTI surround sound system controlled from every room. Located within Trump's full service luxury building, residents have access to the 12,000 square foot state-of-the-art health club with an indoor pool, jacuzzi, spa, and fitness classes. Other building amenities include a media room, children's playroom, private events room, gorgeous private rooftop oasis, as well as private storage. 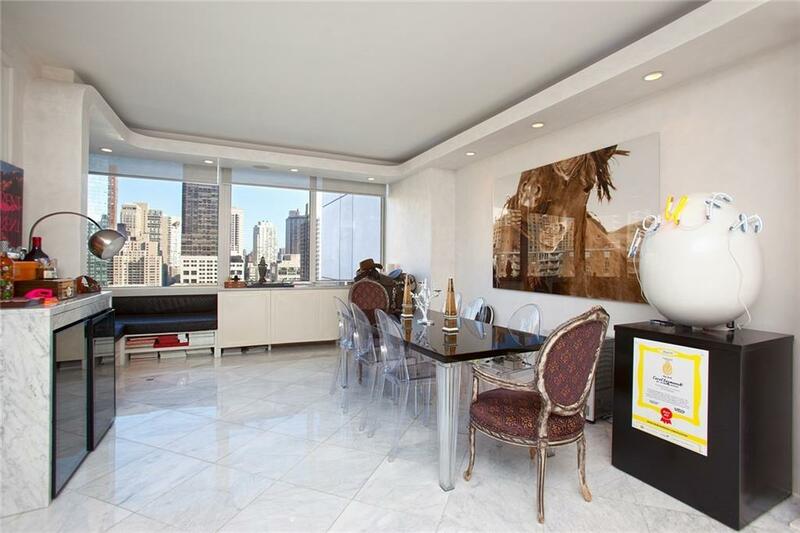 Just steps away are the Riverside bike and jogging paths, Lincoln Center, fine dining restaurants, terrific shopping, public transportation, and the rest of the Upper West Side lifestyle. 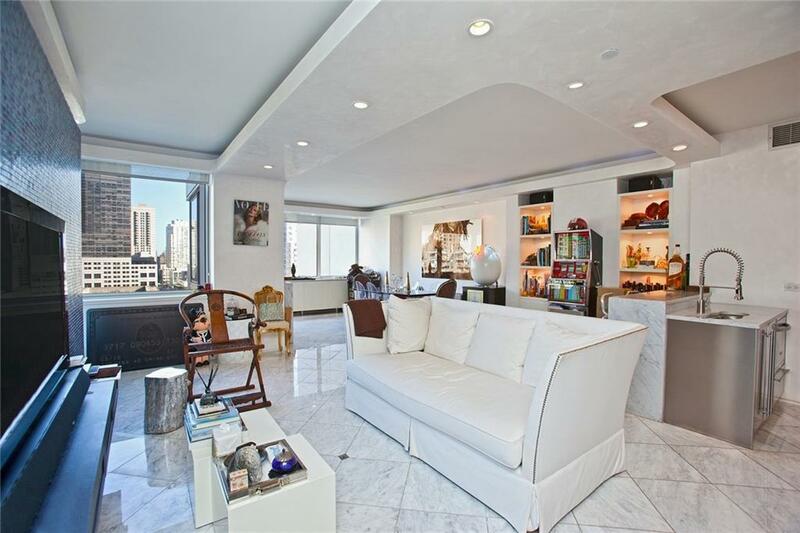 This ultra-luxurious apt has endless possibilities for the right buyer.